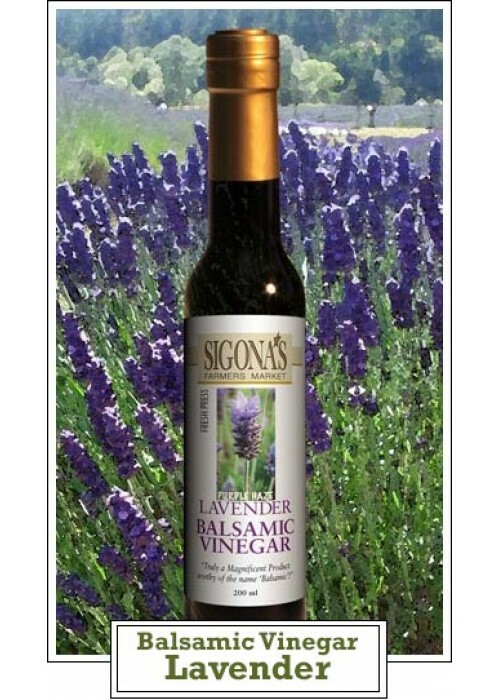 Sigona’s balsamic vinegar, combined with beautiful culinary lavender, gives a unique flavor note to any dish. Lavender balsamic provides a sweet, fruity and herbaceous flavor with a woody undertone. Use in vinaigrettes or marinades for chicken or fish.